Looking for something to do with out-of-town guests, or just moved to the Valley and want to learn about the history of Phoenix and the surrounding cities quickly? These free (or cheap) tours in the Valley are family-friendly and provide a great introduction to the history and development of Phoenix. 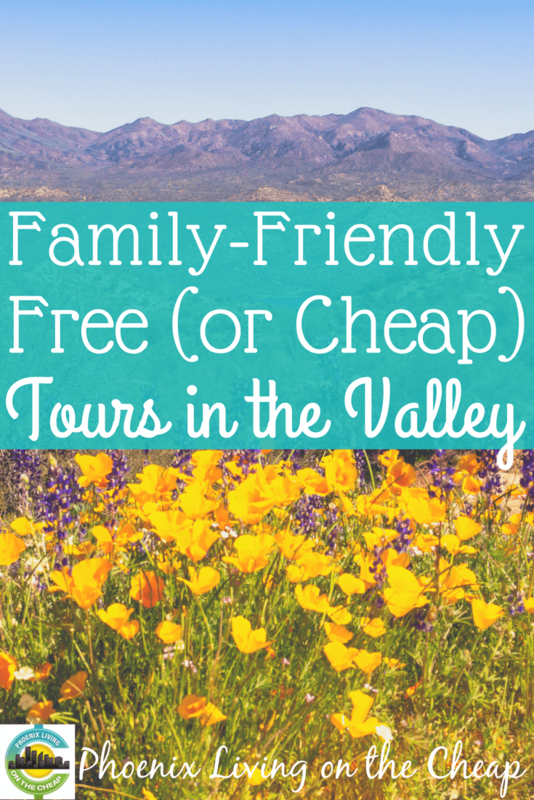 From the Cerreta, Tovrea, and Wrigley families to the Queen Creek Olive Mill and Stuffington Bear Factory, these tours will introduce you to the Valley, past and present. Did we miss any free or cheap tours in the Valley? Let us know in the comments below or on Facebook. No trip to the Valley is complete without a tour of the famous Cerreta Candy Company! This free tour shows families how caramel turns into delicious wrapped treats. 30 minute tours are offered Monday through Friday. For more information, click here. Built in 1929, the Orpheum Theatre is a beautiful walk down memory lane, when theaters were small, intimate, and gorgeous to look out without the show. The Orpheum Theatre in downtown Phoenix still hosts many shows and, when not in use, you can take a free tour of this historic landmark. For more information and dates, please click here. Did you know that Arizona also produces olive oil? Queen Creek has some of the most delicious local olive oil, and on this 45 minute tour, you’ll learn about the olive oil process, the Queen Creek Olive Mill, and how to correctly taste olive oil. The tour is $7 per person and children under 12 are free. For more information and location, please click here. Curious to see what life was like for early Phoenix pioneers? This hour-long tour takes you through the Rosson House, at Heritage Square in downtown Phoenix, where you’ll learn about what life was like for early Phoenix families. Tours range from $4 for children to $9 for adults, although there is a dollar off discount for students, seniors, military and AAA members. For more information and times, please click here. Love horses? Visit the Scottsdale Arabian Horse Show in February for a free barn tour to see and learn about Arabian horses. The horse show features more than 2,000 of the world’s most expensive and decorated Arabian horses, and February is a great time weather-wise to enjoy the show. For more information, click here. Olive oil isn’t the only thing made in Arizona – we make teddy bears too. On this free, 15-20 minute tour, you’ll learn what goes into making “American’s most lovable companion – the teddy bear.” Learn about the history of the teddy bear and see the manufacturing floor up close during the tour, then check out the store to find your own lovable companion. For more information, click here. Pronounced “tov-ree”, the Tovrea Castle is a fascinating look inside a cattle baron’s family home (and more). This two-hour tour is $15 per person and tours sell out fast. For more information and times, click here. Want to learn more about one of Phoenix’s most famous mansions – ghost stories and all? Visit the Wrigley Mansion for a 45 minute to an hour-long guided tour. Tours cost $15 per person and run from Tuesday through Sunday. For more information, visit the Wrigley Mansion tour page. Have you visited any of these tours? What did you think of them? Did we miss any free or cheap tours in the Valley? Let us know in the comments below or on Facebook.